October 20, 2015 – NASA is unveiling mosaics of Pluto and its largest moon Charon, representing the global response to its popular “#PlutoTime” social media campaign. The Pluto Time concept and widget was developed by the New Horizons science team so that people could experience the approximate sunlight level on Pluto at noon—generally around dawn or dusk on Earth. Since the Pluto Time campaign was announced in June, NASA received more than 339,000 visits to the Pluto Time widget and almost 7,000 image submissions from across the globe, including: the U.S., Italy, New Zealand, Netherlands, Canada, Brazil, Qatar, France, Australia, Romania, India, Colombia, Venezuela, Egypt, Greece, Russia, Ireland, Scotland, Mexico, England, Malaysia, Uruguay and Spain. 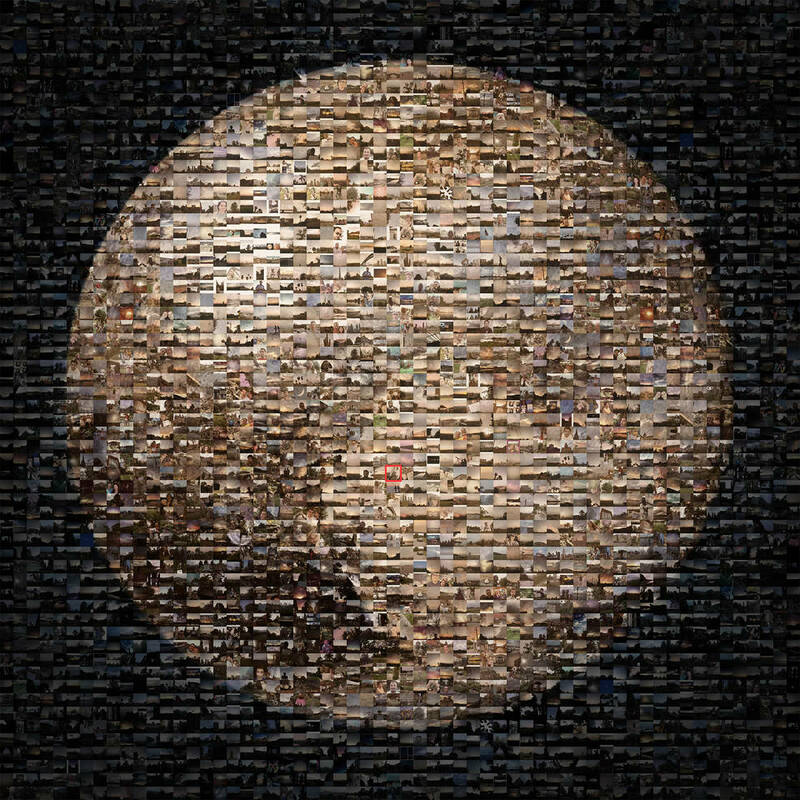 Thousands of those submissions have now been assembled into three stunning mosaics of Pluto, Charon, and a combined image of the two. The mosaics include not only dim skies on Earth, but famous landmarks, selfies, and even family pets. The files are so large that – at current resolution – they would make an 11 x 11’ print. The Pluto Time idea stemmed from a frequently-asked question of New Horizons scientists: how are you going to take pictures of Pluto, given that it’s so far from the sun? The Solar System Exploration Public Engagement team at NASA’s Jet Propulsion Laboratory (JPL) in Pasadena, California assembled the mosaics, using approximately 1,500 to 2,100 images for each. Images are occasionally repeated by the software to correctly fill in the colors and provide the proper shape of Pluto and its terrain. 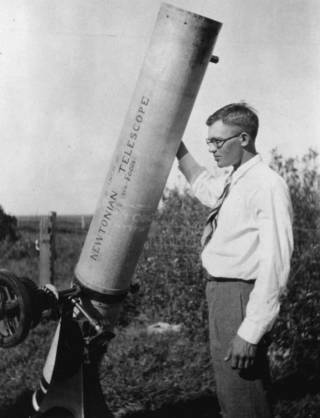 The creators of the mosaic give a nod to Clyde Tombaugh, the American who discovered Pluto in 1930. If you zoom in on the inset in the image above, you can see a photo of Tombaugh and his homemade 9-inch telescope in the region of Pluto’s “heart,” informally named Tombaugh Regio.